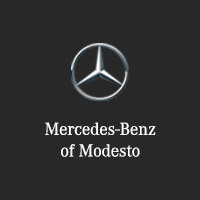 CARFAX 1-Owner, Mercedes-Benz Certified, Superb Condition, GREAT MILES 25,768! 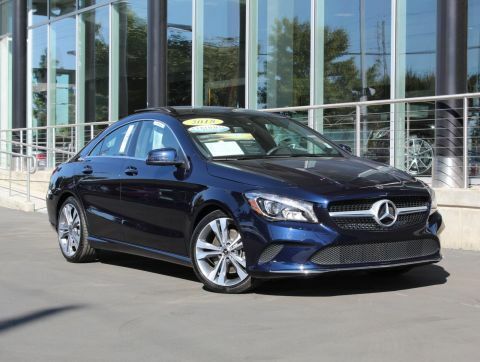 Navigation, Heated Seats, Sunroof, Dual Zone A/C READ MORE! Turbocharged, iPod/MP3 Input, Onboard Communications System, Dual Zone A/C. 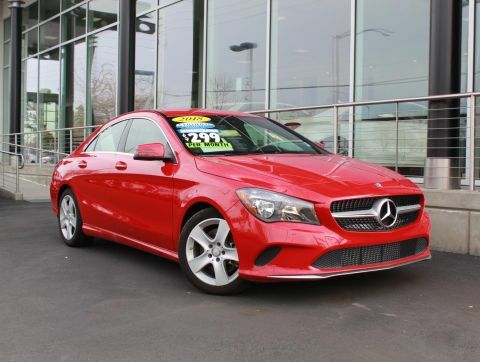 Steering Wheel Controls, Child Safety Locks, Heated Mirrors, Electronic Stability Control, Bucket Seats. MULTI-MEDIA WITH SMARTPHONE INTEGRATION COMAND System w/Hard Drive Navigation, DVD Player, DVD player, 8.0 high resolution screen, voice control, 10GB music register and SiriusXM Traffic and Weather, Single CD/DVD Player, Apple CarPlay, Rearview Camera, Smartphone Integration (14U), Navigation Map Updates Included For 3 Years, PREMIUM 1 PACKAGE KEYLESS-GO, Garage Door Opener, Compass, Heated Front Seats, SiriusXM Satellite Radio, Auto Dimming Mirrors, harman/kardon Sound System, SPORT PACKAGE: perforated front disc brakes w/MB logo, AMG Body Styling, Sport Appearance Package, Diamond Grille w/Silver Pins, PANORAMA SUNROOF, BI-XENON HEADLAMPS AND LED TAILLIGHTS, BLIND SPOT ASSIST, BLACK ASH WOOD TRIM, NIGHT PACKAGE: black window trim, black exterior mirrors and black lamella inlay, Wheels: 18 AMG Multi-Spoke Black Finish Alloy, all-season tires, Tires: P235/40R18. 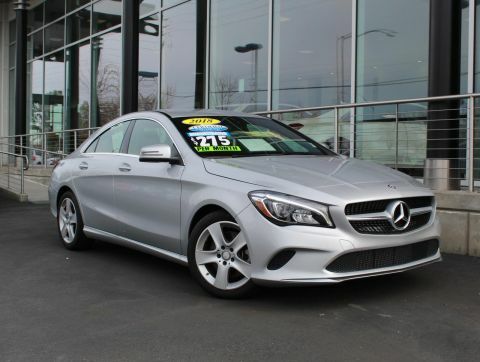 Mercedes-Benz CLA 250 with Cirrus White exterior and Ash interior features a 4 Cylinder Engine with 208 HP at 5500 RPM*. Serviced here, Non-Smoker vehicle, Originally bought here.